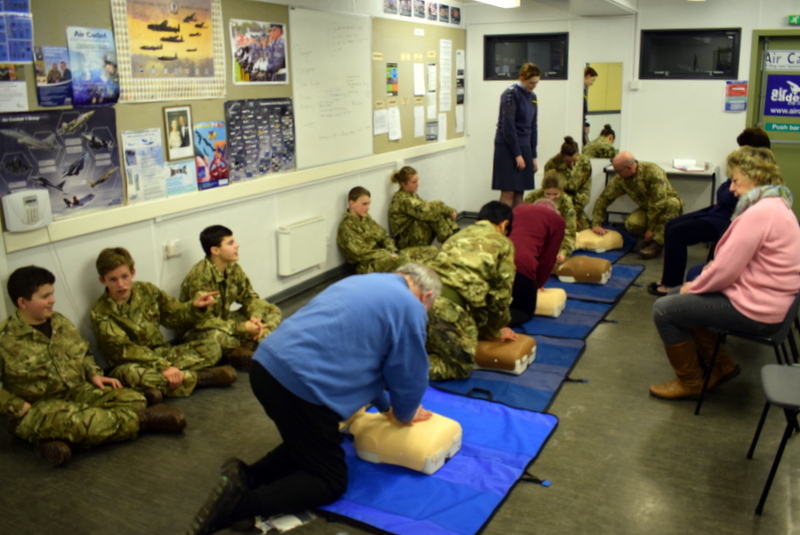 On a recent parade night at the headquarters of 42F (King’s Lynn) Squadron Air Cadets the ‘young’ T Flight cadets and ‘older’ members of the squadron’s civilian committee came together for a session of First Aid training and to learn the HeartStart procedure. Completing the British Heart Foundation’s HeartStart training is a compulsory requirement for all cadets within the ATC organisation. It is an emergency life support skill that has been proven to help to save lives. The evening training session included learning to perform cardiopulmonary resuscitation (CPR), dealing with choking, clearing airways and more, concluding with how to put a partially recovered casualty into the safe recovery position. ← Cadets Honour Guard for High Sheriff and Judiciary.